Even though it’s been over a year since I posted here, I couldn’t let the ten year anniversary of Hurricane Katrina go by without commemorating it. 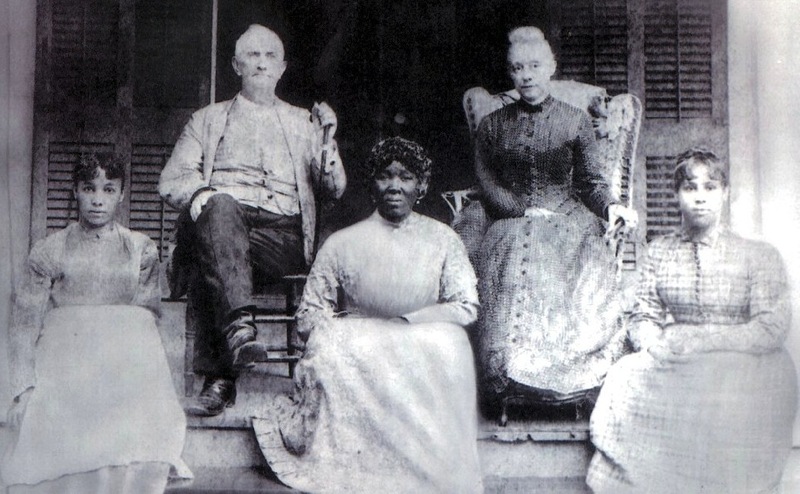 Katrina was one of the things that propelled me to try and find my ancestors. In fact, my husband, kids and I were preparing for a family vacation to New Orleans when Katrina hit. So much of my family’s history was grounded in New Orleans and after the storm I felt more compelled than ever to preserve what I could of it before any more acts of nature washed it all away. The heart of our Ford Family history to me was my Grandmother Lillie Mae Ford’s house on Conti Street in New Orleans. I had a love hate relationship with that house. Grandma was a pack rat, so it was stuffed full of what seemed like junk to me. But it also was her sanctuary and a Ford family archive – one of the most beloved things I’ve found while searching for my ancestors are two glasses that belonged to my great grandmother Josephine and her mother, Tempy, both kept for over half a century under lock and key within the recesses of my grandmother’s shotgun home. Fortunately, Grandma Lillie Mae survived Hurricane Katrina and lived for four more years. She was 98 when she died. My uncle, aunt and cousins survived it too. But my uncle passed away in 2012. After a few years living in Virginia, my aunt was finally able to rebuild her home in New Orleans East and has returned. But my cousins have both moved out of state. Without her kids there in New Orleans, my aunt may leave too. The only thing left of the Fords in New Orleans is my grandma’s house on Conti Street. We thought it would have to be demolished after the storm, but my uncle insisted that he could rebuild it. He was working on renovating it when it caught fire in 2009. That for sure would be the end of that little house,right? Wrong. 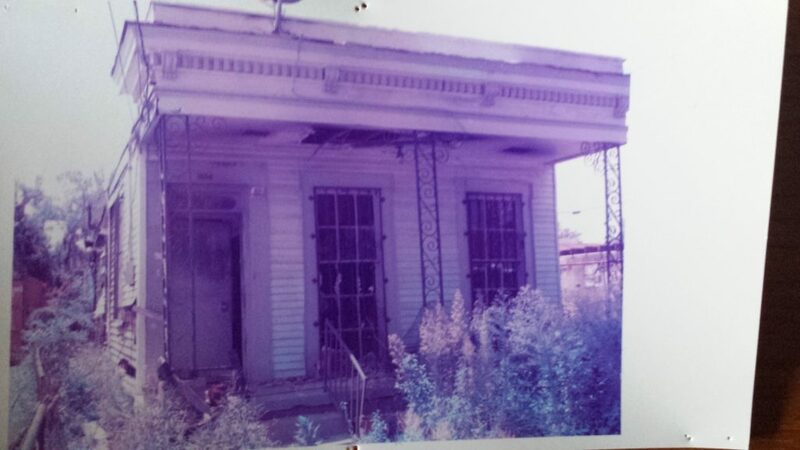 My Grandma Lillie Mae Ford’s house in New Orleans post Katrina and a fire. I guess I still have a love/hate relationship with it. I’ve been to New Orleans once more since I took this picture, but that time, I could not bear to even drive by my grandmother’s house. My uncle was gone. Lillie Mae was gone. And the New Orleans of my memory was gone. All the meat packing businesses and warehouses that used to surround my grandma’s neighborhood were replaced by art galleries and expensive lofts. I used to hate how desolate it felt around there after dark, but on my last visit, I hated the surrounding swankiness. I wonder with all the change going on would my uncle have wanted or been able to stay in the house on Conti street anymore? I wonder, with so many of my NOLA relatives gone, if I will have the heart to visit there again? My thoughts and prayers are with all those who lost loved ones and sanctuaries in Hurricane Katrina. May those souls taken by the storm rest in peace. May the soul of New Orleans continue to shine.